The AYR200-ZWV-USA Z-Wave Radio Module lets you upgrade your Yale Real Living lock system with ease to have Z-Wave connectivity. You'll be able to use your lock as part of an automation system to create remote control, email or SMS alerts and automated functions. With Z-Wave connectivity, you can easily add or delete codes from your lock through either a computer or smartphone. 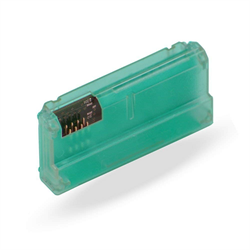 Compatible with YRD220, YRD240, YRD210, YRL220, YRL210, and not for use with Assure or nexTouch products.